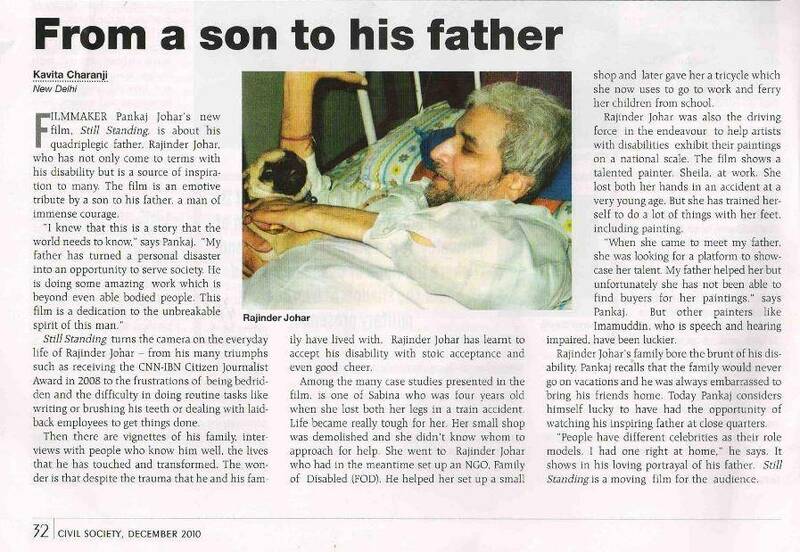 A tribute to a fighter"Still standing" turns the camera on the everyday life of Rajinder -- from the many triumphs such as the CNN IBN Citizen Journalist Award 2008. Still Standing is an awe inspiring story of courage, determination and the unbreakable spirit of a man who defied all odds after doctors pronounced him hundred percent disabled. Paralysed neck downwards and bedridden for the last 24 years, Rajinder Johar has been helping other disabled people stand on their feet and become self reliant. 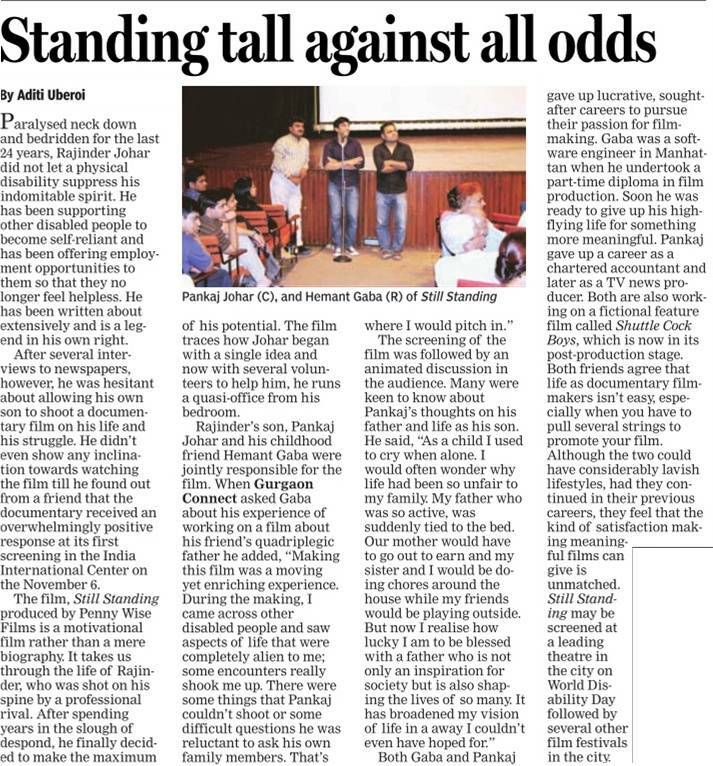 The film takes us on an incredible journey of a man who not only won over his own disability but has become a ray of hope for other disabled people in India. 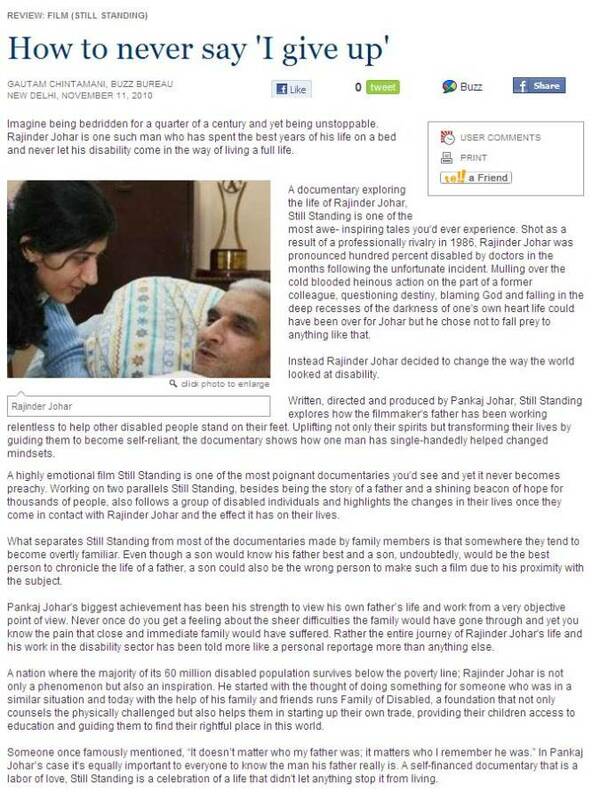 It follows a few disabled individuals after they come into contact with Rajinder and the effect it has on their lives. © 2019 Penny Wise Films. All Rights Reserved.